Five Guys Plumbing Clinton Township welcomes you! Five Guys Plumbing Clinton Township has been a part of our community for the last 20 years. 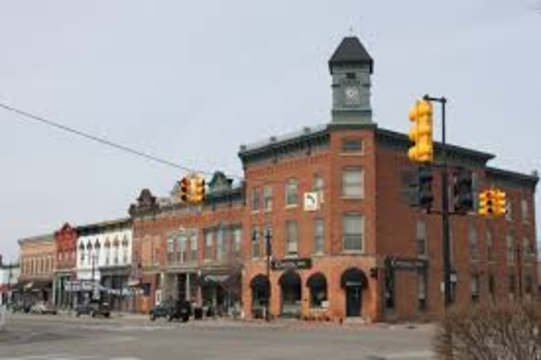 We service not only Clinton Township but the areas that make up Metro Detroit as well. We have worked hard to gain the trust and respect of our residential and commercial customers as the best plumbing company in the area. We know that choosing a plumber to come to your home or business can be difficult. With so many companies and reviews, it’s hard to know who to trust. At Five Guys Plumbing Clinton Township we make it our company goal to always provide the most professional and affordable service so when you need a plumber, you know exactly who to call. If you are looking for a professional plumbing company with quality, integrity, and years of experience, look no further than the plumbers at Five Guys Plumbing Clinton Township. At Five Guys Plumbing Clinton Township we offer several services to get your plumbing back where you need it to be. Our plumbers are certified and trained on all the latest plumbing advancements so when they arrive at your home there is nothing they are not able to fix. Our list of services includes, but is not limited to, drain clogs, pipe repair and replacement, same day plumbing, 24-hour emergency plumbing, and plumbing installations. There is nothing more frustrating than coming home from work after a long day or waking up in the morning to find out that one of your drains has stopped working. Drain clogs are caused by a buildup of hair, skin, and other dirt that binds to the soap scum on the inside of the drain and prevents the water to flow through the pipe. Over time some drains can become so clogged that no water is able to pass through the pipe at all. While simple plunging and drain snakes may fix some clogged drains, others need a professional for the job. With our advanced drain openers and drain cleaning techniques, Five Guys Plumbing Clinton Township can get your drains back open in no time. We service several different clogged drains such as clogged sinks, clogged toilets, clogged bathtubs and showers, clogged floor drains, and clogged utility sinks. We also provide drain replacement and pipe replacement for the drains that are clogged beyond repair. No matter what kind of clogged drain you have, let the team at Five Guys Plumbing Clinton Township handle the job! We can all understand the annoyance that a leaky faucet can cause. Not only can the constant sound of subtle dripping lead someone to insanity, it can also mean high water bills and bigger problems within the home overtime. Leaky faucets can be a sign that there is a bigger problem with the water pressure if the faucet tends to drip at certain times of the day or when the handle is in a certain position. Leaky faucets can also be a sign that there may be a pipe leak that needs further attention. No matter what is causing your leaky faucet, Five Guys Plumbing Clinton Township can help. We can quickly address the reason for the leaky faucet to either fix or replace it. We offer faucet repair and replacement for shower faucets, bath faucets, kitchen faucets, bathroom sink faucets, and utility sink faucets. Pipe leaks are commonly caused by corrosion, settling of the home overtime, temperature change, and obstructions in the pipe itself. Pipe leaks can lead to a serious amount of damage to the home if left untreated. Pipe leaks can be very serious causing flooding due to a large burst or buildup of standing water overtime from a small leak. Standing water in the home for any period can lead to more harmful health hazards and high costs to fix the problem. Whether the pipe leak is large or small, our plumbers can repair it the same day. We want to make sure that your plumbing leak gets addressed and gets your home or business back working as soon as possible. All our plumbers are trained and certified to install your plumbing products. This includes sump pump installation, water heater installation, bathtub installation, shower installation, garbage disposal installation, instant hot installation, kitchen and bath sink installation, toilet installation, utility sink installation, and others. We offer a few preferred brands such as Kohler, Delta, American Standard, and Grohe, should you be interested in replacing one of your plumbing devices. We also offer service to install previously purchased products and water lines for those products as needed. Our water line installations include kitchen sink lines, washer lines, dishwasher lines, and refrigerator lines. If there is an installation that you need service for, that is not on our list, our plumbers will be happy to provide you with more information on the service. At Five Guys Plumbing Clinton Township we understand that most plumbing costs are unplanned and not within the budget at the time. We make it our personal mission to provide the most professional and affordable service with quality so have peace of mind that your plumbing needs are handled properly without breaking the bank. We never price gauge our customers for the services we quote and will work with any budget to get the job done in the most reasonable way we can. Our no pressure, no cost, in-home estimates are always given at fair market value. Our prices are always competitively priced for any size job. In some cases, we can give estimates over the phone. Call us today to let us know how we can help! At Five Guys Plumbing Clinton Township we understand that most plumbing issues are not planned. We also know that plumbing problems don't wait till normal business hours to happen. Our dedicated plumbers offer a 24-hour emergency plumbing service, so you can call whenever you need us. We work around your schedule, not the other way around. We service both residential and commercial customer locations and often travel outside of the Clinton Township area. We are always willing to travel the extra mile for our customer's needs. We understand that when a plumbing problem happens, you need solutions FAST! There are some things to do and remember before the plumber gets to your location to help. In the case of a pipe burst or flooding in the home, shut the water off right away. Remember to open the faucet valves after shutting off the water supply to release any built-up pressure from the piping. This will help prevent continued damage to your location before the plumber gets there. With a drain clog or toilet clog, abstain from using the area until the drain is flowing properly again. If simple plunging does not remove the blockage, wait until the plumber arrives. Trying to open the drain with other tools and snakes can cause more damage to the area if not done properly. If the toilet bowl is full and does not drain after flushing, do not attempt to flush the toilet repeatedly as this may cause the bowl to overflow and flood into the location. Whether planned or unplanned, the plumbers at Five Guys Plumbing Clinton Township can handle the job. We have become a trusted business in the community with a reputation of having nothing but the highest level of customer service. Our aim is to become the first, and last, plumber you call for all your plumbing needs. Large or small, there is no plumbing job we can’t handle. We look forward to the opportunity to serve your home or business. Call us today and schedule your no cost, in-home estimate, to see why we are the best plumbing company in the Clinton Township and Metro Detroit area!